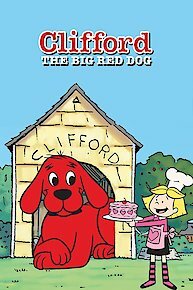 Based off of the popular children's books, the series follows Clifford the Big Red Dog, and his owner Emily Elizabeth, as they face a new adventure with each episode. Whether retelling classic stories like "Jack and the Beanstalk", having fun at a parade, or going through school the kids know that Clifford the Big Red Dog will always be there for them with a positive lesson. Clifford has been gracing the pages of the popular book series for over 50 years, and the series did a great job at capturing that same feel for the small screen. Running for 2 seasons, from 2000-2003, Clifford offered the type of quality entertainment that PBS has become synonymous with. Princess Cleo - Be a Good Friend - Cleo discovers her grandmother was a Queen - and that makes her a Princess! She begins to enjoy all the privileges she believes come with being a Princess - but soon learns that her friends are more important to her than any crown or title could ever be. Basketball Stories - Be a Good Friend - Skyscraper Jackson has come to Birdwell Island for a big exhibition game, which Charley wouldn't miss for anything - except a bad cold. But Emily, Vaz and Jetta each write a story about the game for Charley from their different points of view. Charley gets to relive the game through his friend's stories and they have a lot of fun writing and reading them to him. Doghouse Rock - Believe in Yourself Mac wants to join the pop band T-Bone has put together, but has a hard time finding where his talents fit in. With the help of his good friends, Mac discovers he has a special talent for writing. Guess Who's Coming to Birdwell - Believe in Yourself When a famous dog champion Oscar Owen Bright Like The Sun comes to Birdwell, the dogs go out of their way to impress him. But they soon learn that the best way to impress someone is to just be yourself. Flood of Imagination - Be a Good Friend It's raining and Cleo's going stir-crazy with boredom! But Clifford comes to her rescue by helping her to imagine an exciting action/adventure story.Lights Out - Work Together Mr. Bleakman and Clifford save the day when a big power failure threatens to paralyze Birdwell Island. Who Moved My Bone - Be a Good Friend When Cleo accuses T-Bone of trying to steal her bone, Clifford gets caught in the middle of his two feuding friends. His efforts finally pay off when Cleo and T-Bone realize that their friendship is worth more than a silly old bone.Clifford the Pirate King - Work together After reading the book Treasure Island in school, the kids decide to throw a "Treasure Island" theme party. Clifford helps them prepare for the festivities on Charley's houseboat. But once the party begins, they discover Clifford is too big for the boat. The kids choose to relocate the party rather than let Clifford feel left out. Vaz Goes Down the Tube - Be Responsible Vaz gets a new satellite dish with 632 channels and begins to lose himself to the world of TV until Clifford and his friends help him realize that he's missing out on some very fun and important real life experiences. Cyber Puppy Problems - Believe in Yourself When Mac worries that Jetta love her mechanical toy dog more than he loves her, his friends rally around to help him get through his crisis of confidence. Special T-Bone - Believe in Yourself When Emily Elizabeth starts work on a project titled "What Makes Me Special," it gets all the dogs to thinking about what makes them special. T-Bone isn't quite sure, but soon discovers that he has a special gift of making others feel good.Jetta's Sneak Peek - Have Respect Jetta can't resist reading Emily Elizabeth's journal, but soon learns that it's important to respect someone's privacy. Fishing Lessons - Respect - Honesty Charley promises to teach Emily Elizabeth how to fish, then keeps putting it off until "tomorrow." Emily Elizabeth and Jetta help him to realize that once a promise is made, it should be honored and respected.No Baths for Cleo - Respect - To avoid baths, Cleo runs away from home. With the help of her friends, she comes to understand and respect the fact that giving Cleo a bath is just one of the many ways Mrs. Diller shows her love. Little Big Pup - Believe in Yourself A very small new dog named Frankie moves to Birdwell Island and is envious of Clifford's size until he realizes that sometimes being small can be just right.Getting to Know You - Have Respect When Clifford moves to the Island he makes friends with T-Bone, but the two dogs soon learn that some adjustments must be made to accommodate their size difference. Embarrassing Moments - Be Kind When Vaz rips his pants during a soccer game, everyone helps him feel better by telling their own tales of embarrassing moments. Jetta insists these things never happen to her, but even she ends up laughing at her own potential for embarrassing moments.Lucky Charm - Believe in Yourself After losing her lucky stone, Emily Elizabeth loses her confidence. Big Hearted T-Bone - Responsibility T-Bone generously offers to watch Cleo's niece KiKi so Cleo can get some rest. But his honorable intentions are challenged when his female friend Mimi comes to town and T-Bone must choose between responsibility and pleasure. Cleo's Valentine Surprise - Help Others Cleo, with some help from K.C., goes overboard preparing a special gift for Clifford and T-Bone. But when she doesn't get a big gift in return, she learns to recognize the joy in giving. Clifford Grows Up - Be Kind The Howards do their best to make Clifford comfortable after he's grown too big for their city apartment. They finally move to Birdwell Island, because making Clifford happy is so very important to them.Jetta's Sweater - Be honest Jetta inadvertently gives Emily Elizabeth a sweater that was a gift from her grandma. When she realizes her mistake, she resorts to all kinds of tricks to get it back. But in the end she realizes that just being honest would have made everything a whole lot easier. Magic in the Air - Responsibility When the Peter Poundstone, Magician craze sweeps the island, Charely gets carried away with the magic and neglects an important assignment. Charley learns that you can have fun but you have to be responsible to.Everyone Loves Clifford - Be Kind When Emily Elizabeth scratches Clifford's "sweet spot" his back leg starts thumping and the whole island shakes! But the kindness and love everyone feels toward Clifford causes them to keep trying to find a way for him to get the good scratching he deserves. Fan Mail - Believe in Yourself - Emily Elizabeth writes a fan letter to her favorite pop star and discovers - with the help of Mr. Bleakman - that sometimes wishes do come true. Hooray for Cleo - Honesty - Cleo withholds information which makes everyone think she's s beachball playing hero, then learns that there are many kinds of heroes - and the best ones tell the truth. That's Snow Lie - Believe in yourself - try new things Cleo pretends to hurt her paw so she won't have to embarrass herself on the ice rink.A Friend in Need - Be a good friend Jetta insists on taking on a big job so she can be the "hero", but soon learns that it's okay to graciously accept help when it is needed and offered by good friends. Clifford loans his favorite blanket to his friends, but gets upset when it gets dirty. Clifford and his friends help Vaz's big sister Teresa dig for dinosaur bones & fossils on Birdwell Island. Clifford the Big Red Dog is currently available to watch and stream on PBS. You can also buy, rent Clifford the Big Red Dog on demand at Amazon Prime, Amazon, Vudu, Google Play, iTunes online.